We invite you to taste Spring in her glorious scents, textures and colours, and learn how to bring the wonders of this season of birth, growth and renewal into your own life. Through study of the ancient wisdom traditions of yoga and ayurveda you will gain knowledge and tools to make better decisions and take better care of yourself. Learning directly from masters of ancient herbal medicine and modern permaculture and organic farming, you will understand and connect with the abundant creative energy of Mother Earth. You will physically detox and cleanse your body, from the deep tissues to the skin. And on an energetic level you will align yourself to the harmonious and healing energy of Mother Nature. 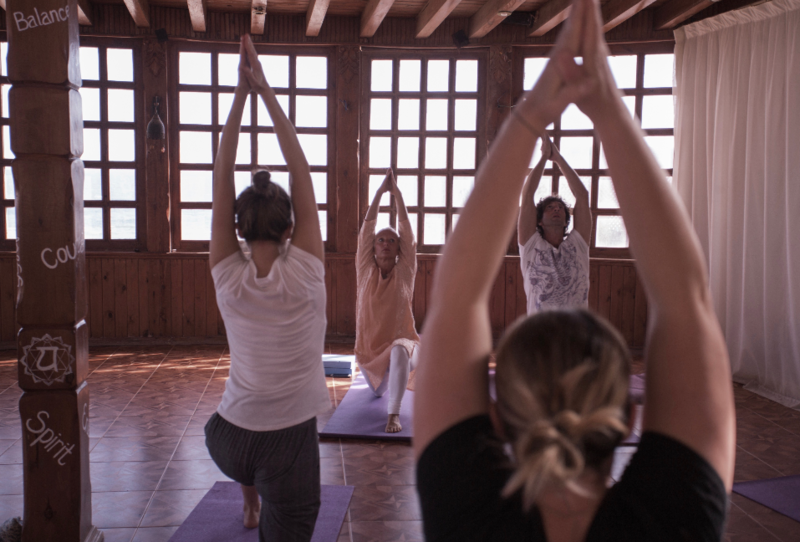 This is a truly intimate retreat experience - we limit the number of participants to a maximum of six people to ensure we can give each of you as much care and attention as possible, both to support you in developing your yoga and meditation practice, and to guide you through this beautiful journey back to balance, harmony and wellbeing. 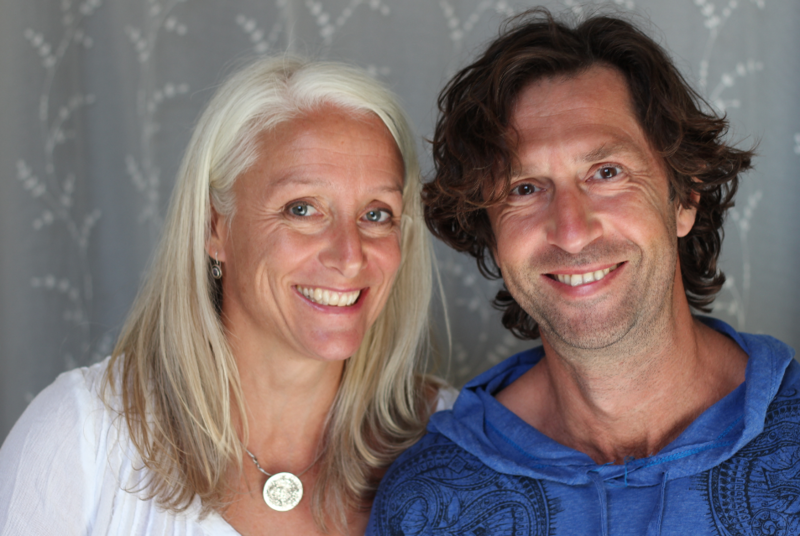 Sara and Jean Philippe will be your main teachers and guides in this wonderful journey, offering yoga and meditation practices that help you to awaken and balance your inner energies and align them with the universal seasonal changes. Sara has been teaching Kundalini for over 15 years, and Jean Philippe teaching and practicing a range of disciplines for over 20 years, creating his own unique style of nourishing, restorative practice. 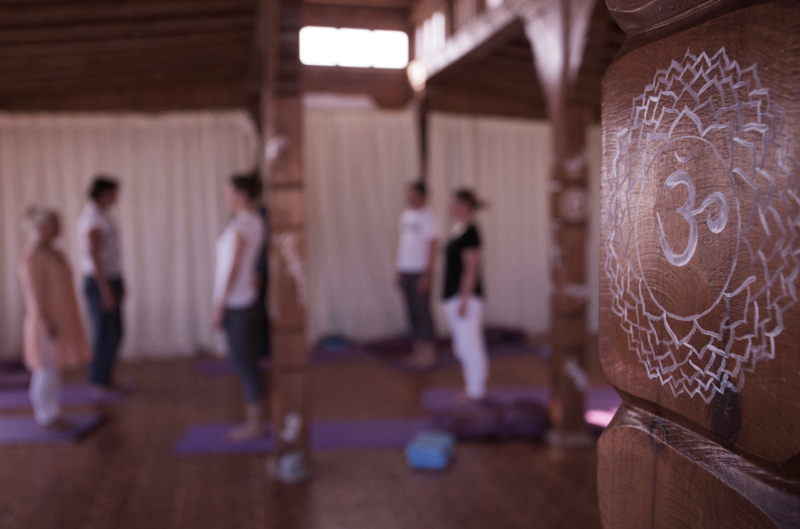 We open the retreat connecting with our unique group energy for the week with a special yoga and meditation practice, and a blessing for our journey will prepare us for the process which we will each undertake together. Day by day we will explore ancient wisdom regarding the energies of Spring, and learn how we can integrate this wisdom into our daily lives for greater balance. 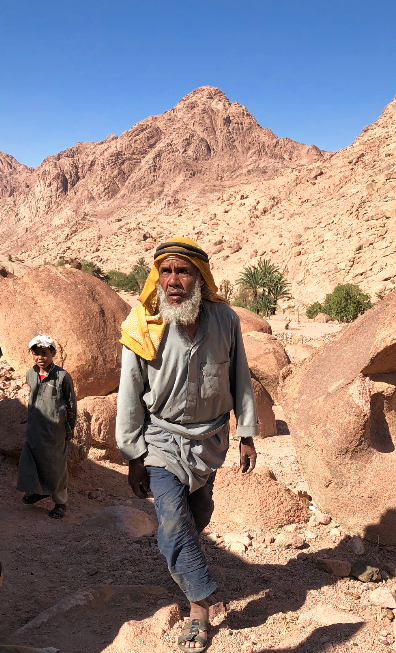 We will be blessed to stay with Dr Ahmed, the 70-year old bedouin natural healer, in his ancient gardens in the mountains close to sacred Mount Sinai, which have been sustained and nourished through the generations of his own family. We will spend a full day and night in the healing silence of his valley, learning from his immense knowledge and his own life journey. There will be time for individual consultations. We then move to the Habiba Beach Lodge and Organic Farm to learn about how modern organic farming is developing to combine the best of the ancient and the new. Based for two nights at the Habiba Beach Lodge, we will spend time each day serving on the farm, and learning from the experts who have dedicated their life to understanding and working with the natural rhythms of Mother Earth. It is a truly heart-opening experience to see the love that al these people have for the planet and plants that they serve through their work. After two days at the farm we will return to Dahab to rest, integrate and draw our journey to a close. Discourses on yogic and ayurvedic theory, and lifestyle practices will supply each of you with tools, and knowledge to build into your own wellbeing routines. Daily yoga and meditation, and sharing circles throughout the week will give us all plenty of time for exploring our inner experiences, emotions and sensations and to come to a deep understanding of our own place within the magical, vast, and abundant Universe of which each of us is a small yet essential part. We will practice yoga and meditation twice a day, apart from when we are travelling between venues, and will have daily lectures where we will share wisdom to help you blossom and flourish this Spring. Accommodation in Dahab will be at the beautiful Coral Coast Hotel on the beach in Eel Garden in Dahab for our first and second, and sixth and final nights of the retreat. All rooms are based on single occupancy in their lovely superior sea view rooms. If you are on a budget and wish to enquire about the standard rooms, please let us know. If you are travelling alone but wish to share accommodation, we cannot guarantee to be able to offer this, but if we have a similar request from a suitable person for you to share with, we will let you know. At Dr Ahmed’s gardens we strongly recommend that you take advantage of the opportunity to sleep beneath the stars to really connect with Nature in his sacred valley. You can bring your own sleeping bag, or blankets can be provided. At Habiba Beach Lodge accommodation will be in superior single rooms, each with its own bathroom and air conditioning. If you wish to arrange your own accommodation in Dahab, please email us so we can discuss pricing options without accommodation. Registration is simple - click on the payment option you wish to make from the dropdown menu above, ensuring you select the correct item, and we will receive immediate notification of your payment. No need to email us separately unless you have questions, in which case we are very happy to hear from you. FROM ABROAD : you need to arrange your own flight, to arrive in Sharm el Sheikh on or before the morning of Saturday 6th April to ensure you are relaxed and rested to begin the retreat once everyone has arrived. Please send us your e-ticket as soon as possible. 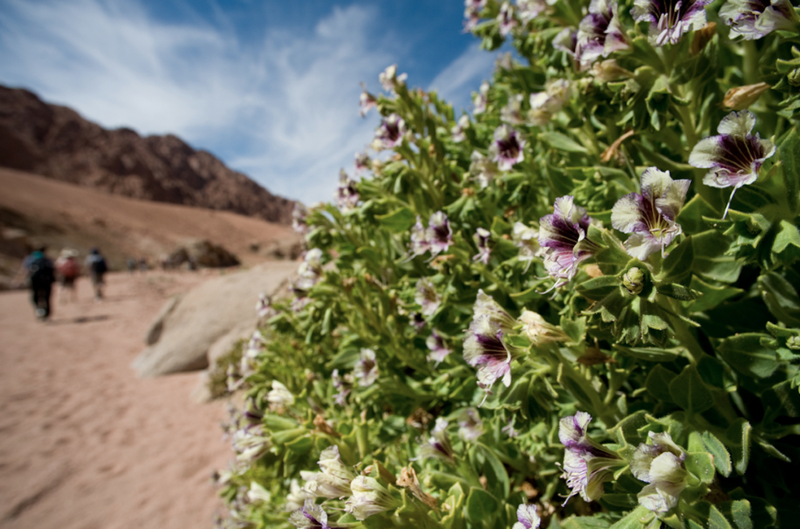 We will organise your transfers directly to Dahab for you. As we will be going into the desert, everyone is required to purchase an All-Egypt visa, available on arrival for €25. If you are from outside of the EU, or plan to extend your stay in Egypt (Sharm or Cairo), please check for specific visa entry requirements before you travel. DRIVING FROM CAIRO : if coming by car, please arrive before Saturday lunchtime to ensure you are relaxed and rested to begin retreating that afternoon. Coral Coast Hotel is located close to Eel Garden on El Melal Street - ask and you will find it very easily. Sara has been guiding people to discover their depths since long before becoming a world champion freediver. Her journey of self-healing from severe stress-related illness led her to become a Kundalini yoga teacher and ultimately brought her to a new life in the ocean. Here she truly began exploring the concepts of life, happiness, success and failure, and how to reach our human potential, both in and out of the water, on and off the mat. Sara looks to nature for the wisdom that it can impart, and how we can learn to live more in balance with ourselves and our surroundings. Sara teaches yoga, meditation and freediving internationally, and also provides spiritual coaching to help people explore beyond their perceived limits. She has been involved in several TV documentaries on freediving and human potential, is the founder of Discover Your Depths, and has created her own online training programme, Yoga for Freediving. Certified to teach since 1999 he has been educated in various lineages including Sampoorna Yoga with Sri Yogi Hari (USA), as well as with the Swamis of the traditional monastic south Indian ashrams of Yoga Sivananda (Chennai and Neyardam, India; and Paris, France). Jean Philippe’s practice and teaching continue to be inspired by the many teachers of various lineages and traditions that he has been touched by over the years in workshops and seminars in Belgium, and on retreats and travels around the world. Please contact us if you have any questions about this or any of our other programmes. We are happy to help you find the right programme for you, or even design a personal retreat that feels absolutely right for your needs.